GLUTEN FREE, SOY FREE and made with UNREFINED SUGARS, this recipe makes a wonderfully wholesome option. Shhh… are you ready for the secret ingredient? I decided to replace worcestershire sauce with coconut aminos. 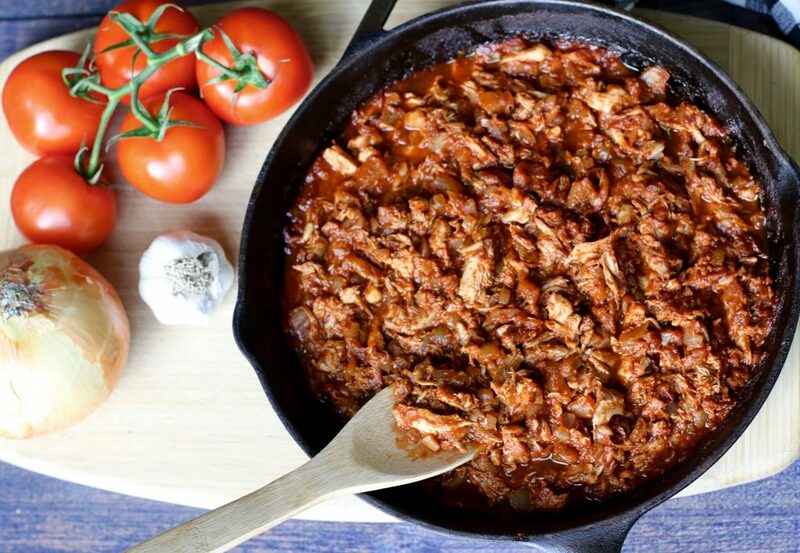 See why this alternative makes the dish a much healthier meal. Bursting with flavour and loaded with nutritious ingredients, this dish is an amazingly healthy main course. Leftovers can be used to make a delicious sandwich served on a gluten-free bun or a lettuce wrap for lunch. Summer is coming to an end and school is right around the corner. During my quest for creating a healthy, allergen free snack for my boys, I decided to go to Healthway Natural Foods, my local health food store, to find an easy and portable treat for school. We came across quinoa barbecue chips and my kids loved them… that got my wheels turning. 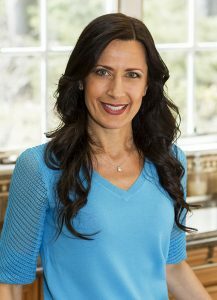 I plan on doing a series of barbecue recipes that will not only be easy to make, but also nutritiously packed with only healthy ingredients. 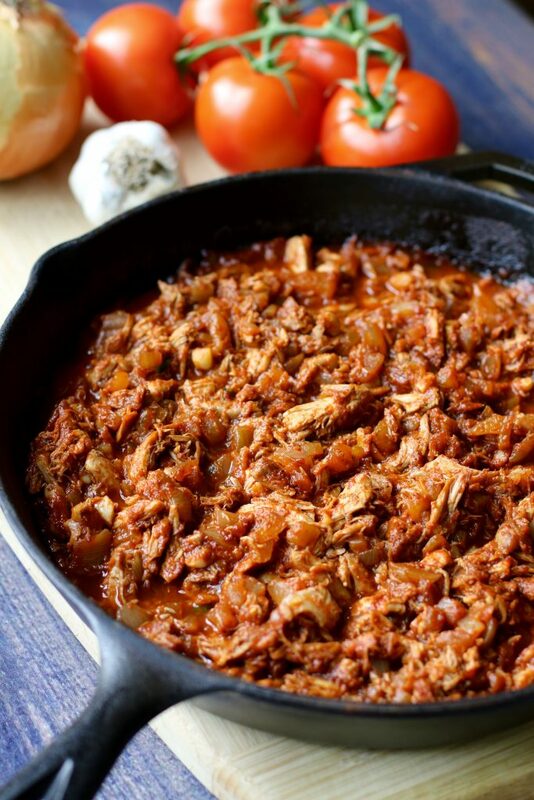 I actually came up with this recipe a few years ago because my husband loves barbecue. Also, whenever I made chicken broth I would always end up with extra boiled meat. 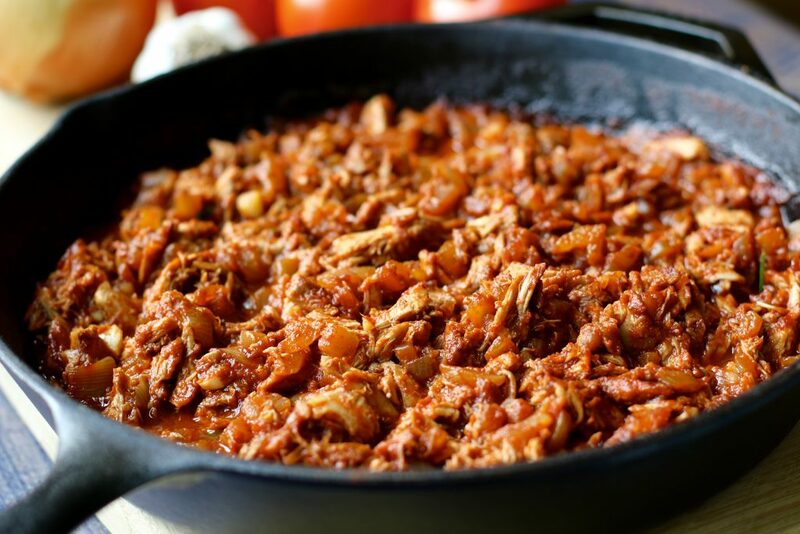 I created a simple barbecue sauce and also a curry sauce that works well with any recipe. My secret ingredient raises the nutritional content of this dish. Some of you may be aware that most barbecue recipes require worcestershire sauce. Also, natural store bought worcestershire contains soy and is high in salt. I played around a bit with the recipe and discovered that coconut aminos make a perfect substitute for this dish! 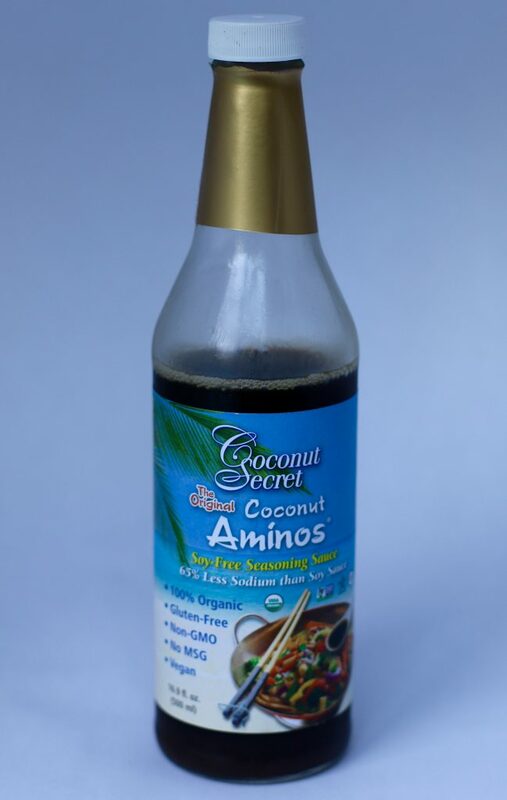 Coconut aminos make a great alternative for other seasonings as well. The sap is low glycemic, has a nearly neutral PH, contains 17 amino acids, minerals and vitamins. It is also gluten-free and soy-free which is perfect for my older son’s diet restrictions. I like to call myself “The Batch Maker”! Cooking in bulk and freezing is the way to go. 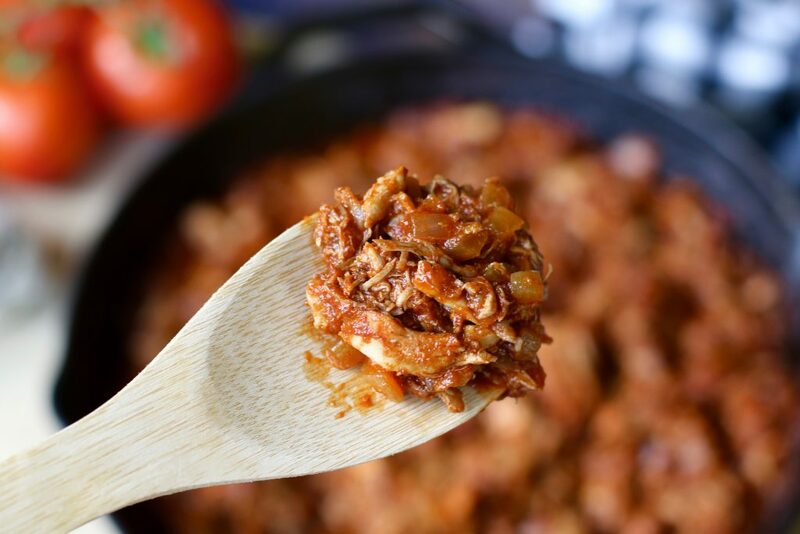 This recipe is perfect for this reason and freezing the sauce for other recipes will make your life a little less hectic… declares the women with 4 kids and 5 cats! 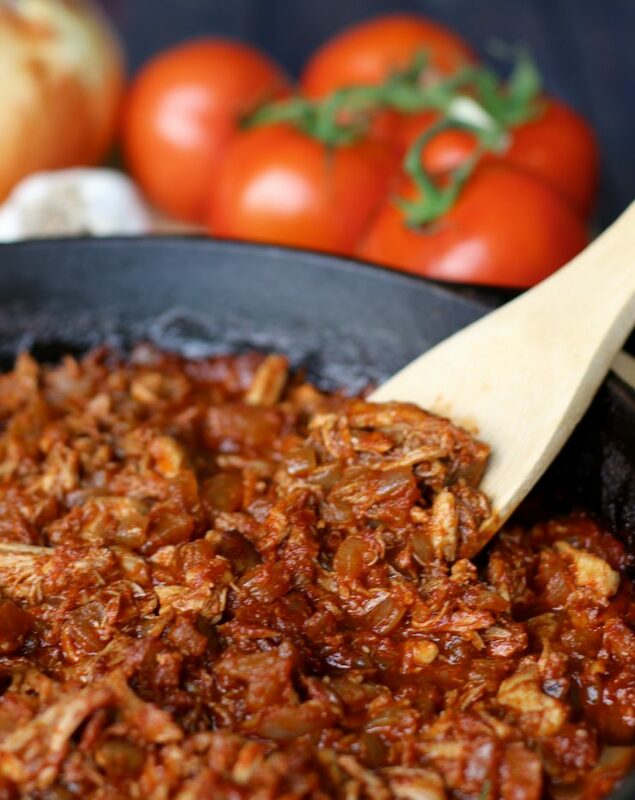 Healthy BBQ Paprika Pulled Chicken - Check Out My Secret Ingredient! Not only is this dish bursting with rich flavour, it is also GLUTEN-FREE, SOY FREE and REFINED SUGAR FREE as well. Coconut Aminos is an added bonus making the dish lower in salt. So EASY-TO-MAKE, you will be eating a HEALTHY meal in no time. Place the chicken legs in a large pot of water on medium/high heat and add salt and pepper. You can also add any vegetable of your chose to the broth while it is boiling. I use carrots, celery, onion and garlic for some extra flavour. Cover it and once it boils lower the flame and allow the broth to cook for 45 minutes or until the meat separates easily from the bone. Once cooked remove the chicken from the broth, take it off the bone and shred. Reserve 1 cup of broth for this recipe and freeze the rest for later. 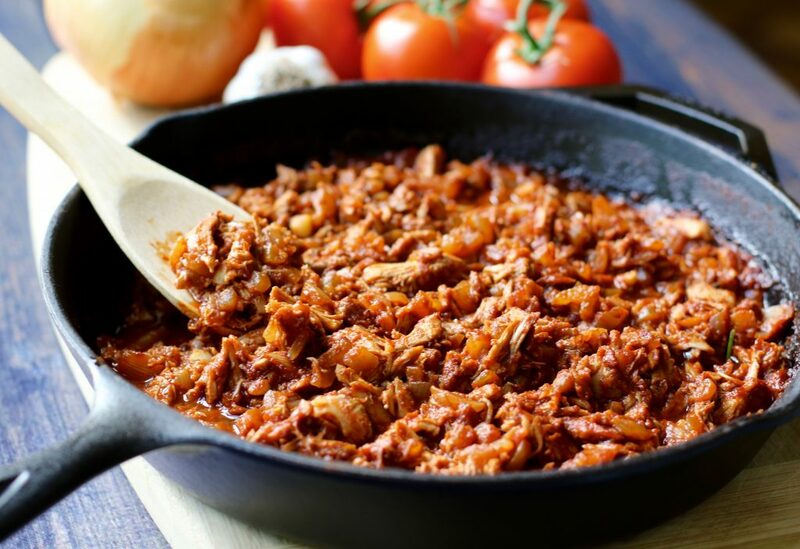 In a cast-iron pot or a skillet add olive oil, onion and garlic and sauté until fragrant. Then stir in the remaining ingredients, except the chicken, allowing the sauce to come to a boil and thicken slightly about 10 - 15 minutes. Lower the flame and add the chicken and let simmer for about 5 - 10 more minutes so all the flavours are combined. Add salt and pepper. Next Post Steamtown Marathon Training 2016: Week 7 – 2016 Olympic Games in Rio de Janeiro! It looks really good, can’t wait to try it. Keep them coming! This is perfect for my husband! Thank you! 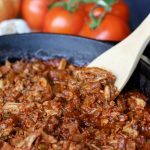 Private: Healthy BBQ Paprika Pulled Chicken – Check Out My Secret Ingredient!